It is with great pride we announce that two designs by Kauppi & Kauppi have been selected as finalists in AZURE Magazines international architecture and design competition AZ Awards 2019! Ohm by Ifö Electric in the Lighting Fixtures category. GreenFrame by Glimakra of Sweden in the Furniture Design category. The designs are among the 68 finalists in 20 categories chosen by the international jury from 1175 entries from 50 countries. Winners will be announced at the AZ Awards Gala taking place in Toronto, Canada on Friday, June 21. The AZ Awards is AZURE´s international architecture and design competition, recognizing excellence and innovation, and showcasing the world’s best projects, products and ideas. AZURE Magazine is Canada’s leading contemporary design magazine and one of a handful of influential design magazines worldwide. It is a great honor to announce our design collaboration with Ifö Electric, one of Sweden's classic companies and Scandinavia’s only factory producing pressed porcelain. Ohm is a new porcelain luminaire collection for indoor and outdoor use on walls, facades, ceilings and tables. The first grand collection by Ifö Electric in more than ten years, designed by Kauppi & Kauppi, is launched at Stockholm Furniture & Light Fair 2019. Inspired by old porcelain insulators, the soft curves and restrained silhouettes references the company’s legacy. The Ohm family includes the first table lamps in Ifö Electric´s century long history. “We were seduced by the fascinating soft shapes of insulators and connection boxes, some of the first products manufactured by Ifö Electric. We wanted to bring these silhouettes back into the company´s assortment by creating something new, carrying some of its identity”, says Nina Kauppi. Ohm is presented by Ifö Electric at Stockholm Furniture & Light Fair. Ohm by Ifö Electric. Design Kauppi & Kauppi. We are happy and excited to announce Kauppi & Kauppi´s premiere collaboration with Swedish design company Zero Lighting - launching at Stockholm Furniture & Light Fair 2019. Pathfinder is a collection of outdoor luminaires designed to illuminate promenades, pathways, facades and areas under roofs. The light fixtures elementary shape, scale and many installation possibilities forms a distinct family with a mission to define places and indicating direction. "We wanted to design a collection of outdoor luminaires, combining a friendly figure with a formal expression. Initially inspired by trail markers and sign posts, the direction pointing bollard was the origin of the design. During the design process, the light housings were developed into additional independent wall and ceiling luminaires. The result is a family of outdoor fixtures with a strong relationship to architecture”, says Nina Kauppi. “The Pathfinder collection is based on a horizontal oriented rounded shape that recurs in different fixture categories, creating a functional luminaire program together. The simplicity in form and the slender scale allows the design to be repeated in numerous installations and various contexts”, says Johan Kauppi. Pathfinder is presented by Zero Lighting at Stockholm Furniture & Light Fair. Pathfinder by Zero Lighting. Design Kauppi & Kauppi. Photo Jonas Lindström. 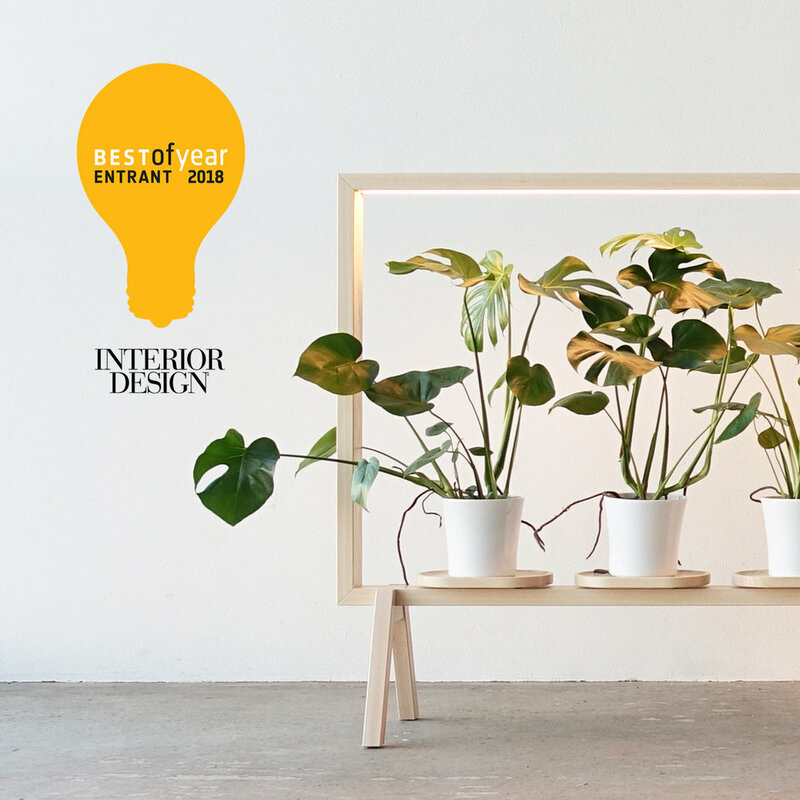 We are happy that GreenFrame has been named Honoree in Interior Design´s 2018 Best of Year Awards, announced in New York City at Javits Center on November 30th. Browse all winners and honorees here. Best of Year Awards is one of the design industry's premiere design awards programs, honoring the most significant work of the year. Annually organized by Interior Design Magazine - a leading global design publication, website and events company based in New York. GreenFrame floor screen was launched at Stockholm Furniture & Light Fair 2018. Produced and manufactured by Glimakra of Sweden. Designed by Kauppi & Kauppi. Two designs by Kauppi & Kauppi receives German Design Award 2019! Both products launched and produced by Glimakra of Sweden. The Award is only open to entries that have been nominated by the German Design Councils’ expert committee. The Prize Ceremony will take place in Frankfurt am Main in February 2019. The Barn & Fences is a collection of sound absorbing screens and a pavilion for offices and large scale interiors. Awarded in the category of Office Furniture. GreenFrame is a floor screen for potted plants with integrated lighting. Awarded in the category of Home Textiles & Accessories. “Prizes will only be awarded to projects that truly represent pioneering contributions to the German and international design landscape. The highly esteemed, international jury guarantees this. The German Design Award identifies and presents unique design trends: a competition that advances the design oriented scene.” - German Design Award. GreenFrame has entered Best of Year Awards 2018! Finalists will be announced November 16. Thank you Svensk Form! We were invited by Svensk Form Norrbotten to hold design lectures in Kiruna and Luleå in Norrbotten, Sweden. Design Talks in Kiruna & Luleå arranged by Svensk Form Norrbotten. We had two amazing weeks based in Northern Norway at Sami University in Kautokeino, where we had the great privilege of being invited to hold seminars, workshops and design lectures on the themes digital storytelling & creativity. Autumn colors. A September scenery from the surroundings of Kautokeino. The Dezeen Awards 2018 design longlist has been announced and GreenFrame is listed in the category of Workplace design! We are very happy to be among a fantastic selection of designs, designers & architects chosen out of over 3,500 entries from 91 countries. In August the competition shortlist will be revealed and we are crossing our fingers! GreenFrame is a floor screen for potted plants produced by Glimakra of Sweden launched at Stockholm Furniture Fair 2018. Design Johan Kauppi / Styling and Visual Nina Kauppi. MIAW - Muuuz International Awards 2018 was revealed in Paris at the Grand Hotel Intercontinental Opera, the 20th of June. A prestigious international design award, organized by ArchiDesignClub by Muuuz Magazine. We are honored to announce that The Barn & Fences was awarded WINNER in the category of Office Furniture & Workspaces. 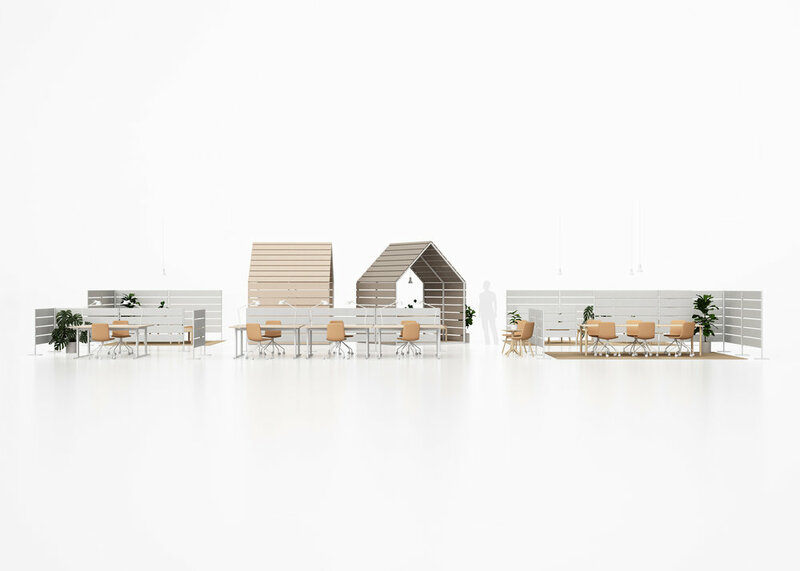 The Barn & Fences is a collection of dividers and a muted pavilion for offices and large scale interiors, inspired by the silent landscapes of north Sweden. Designed by Johan Kauppi for Glimakra of Sweden. The mission of Muuuz International Awards is to identify and highlight the most remarkable products of architecture, interior design and decoration. This years edition honors the most innovative design products launched after January 1st 2018. Svensk Form announced their 2018 scholarships on May 26th at their annual meeting. This year held in the "Ark" on Kvarntorpshögen in Kumla, Sweden. Johan Kauppi received the scholarship from Axel Larsson's Memorial Fund. The scholarship is designated for an individual studying or working in Sweden in the field of furniture design, furniture crafts or interior design - performing an innovative and functional or otherwise meritorious work within the field. "Johan Kauppi’s design clearly reflects the purpose of the grant and reveal a mature form language characterized by simplicity with clear basic forms, quality in every detail and examples of great knowledge of materials and techniques based on Swedish craft traditions. The sophisticated design of different spatial objects can be used both for interiors and outdoor environments with a sustainability that will last for long both materially and visually." Svensk Form - The Swedish Society of Crafts and Design - is a not-for-profit membership association mandated by the Swedish government to promote Swedish design at home and abroad founded in 1845. Read the official press release by Svensk Form. We are happy to be featured in the latest issue of Form Magazine, No2 / 2018. The article, written by Carolina Söderholm, portrays Kauppi & Kauppi and our backgrounds, as well as some of our design. "Form - Magazine for Nordic Architecture and Design, is published by Svensk Form, the Swedish Society of Crafts and Design, and was founded in 1905. Since then, Form has grown to be one of the strongest voices in Sweden's design landscape." English and Swedish editions can be read / bought online and in the Form app. We are excited to share that Cooper Hewitt Smithsonian Design Museum in New York has included Johan Kauppi and Wakufuru furniture in the exhibition "The Senses: Design Beyond Vision". The exhibition runs from April 13 through Oct. 28 at Cooper Hewitt, 2 East 91st Steet, New York. ”The Senses” examines how multisensory design amplifies everyone’s ability to receive information, explore the world, satisfy essential needs and experience joy and wonder. The exhibition includes work by more than 65 designers and teams and reveals how sensory design can solve problems and enhance life for all people, including those with sensory disabilities. The accompanying book "The Senses" is a call to action for multisensory design practice, co-published by Cooper Hewitt and Princeton Architectural Press. Wakufuru is a collection of solid wood furniture with acoustic properties, launched by Glimakra of Sweden at Stockholm Furniture Fair 2017. Kauppi & Kauppi design studio is based in New York throughout April. An exciting month of research, inspiration and explorations - reconnecting with our favourite city, amazing friends and colleagues. Last week we were delighted to attend the German Design Award 2018 ceremony, held by the German Design Council in Frankfurt am Main. More than 1,300 guests attended the event. It was a great honor for Kauppi & Kauppi to receive 2 amazing Gold Awards and 1 Winner Award in the section of Excellent Product Design - shared with our fantastic collaboration partners Nola Industrier and Glimakra of Sweden. In the category of Public Design - Kebne Outdoor Gym for Nola Industrier AB won the Gold Award. In the prestigous category of Furniture - Wakufuru for Glimakra of Sweden won the Gold Award. In the category of Office Furniture - LimbusFloor Subtle for Glimakra of Sweden got a Winner award. The competition is only open to entries that have been nominated for the German Design Award by the German Design Councils’ expert committee. The award is divided into two main sections: Excellent Product Design and Excellent Communication Design. The two main sections has several under categories dividing and defining the products into groups. The jury selects only one Gold Award in each category and an adequate number of Winner distinctions. This year the independent international jury consisting of 40 experts selected 45 Gold winners out of about 5000 entries from 56 countries. The German Design Council, the expert for brand and design in Germany, bestows the German Design Award. Commissioned by the highest authority to represent new developments in the German design industry. Established on the initiative of the German Bundestag (the lower house of German parliament) as a foundation in 1953, it supports the industry in all matters consistently aimed at generating an added brand value through design. The award ceremony took place on February the 9th 2018 at the Ambiente Fair in Frankfurt am Main. The Gold Award winning products in the section of Excellent Product Design were exhibited at the fair in the Galerie Nord. 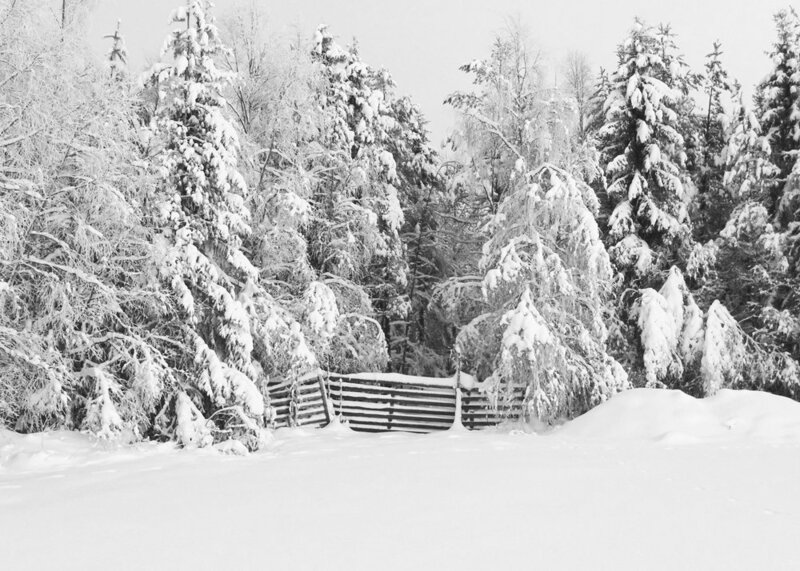 Wintry silent landscapes inspired Glimakra of Sweden and Johan Kauppi in their latest collaboration. A collection of furniture for well-balanced acoustic work environment – still keeping the office landscape open. The Barn & Fences is all about horizontality, repetition and transparency. Limbus Barn & Fences is a collection of partitions and a pavilion, designed for dividing and defining areas in offices and large-scale public interiors. Produced by Glimakra of Sweden, designed by Johan Kauppi launching at Stockholm Furniture & Light Fair 2018. Barn & Fences allows you to create mute zones and damped areas and still maintain the sense of open space - at the same time. A system with well taken-care-of details and a great flexibility in utilization with the aim to make open space interiors sonically pleasant. Don´t we all wish to work next to a green window? 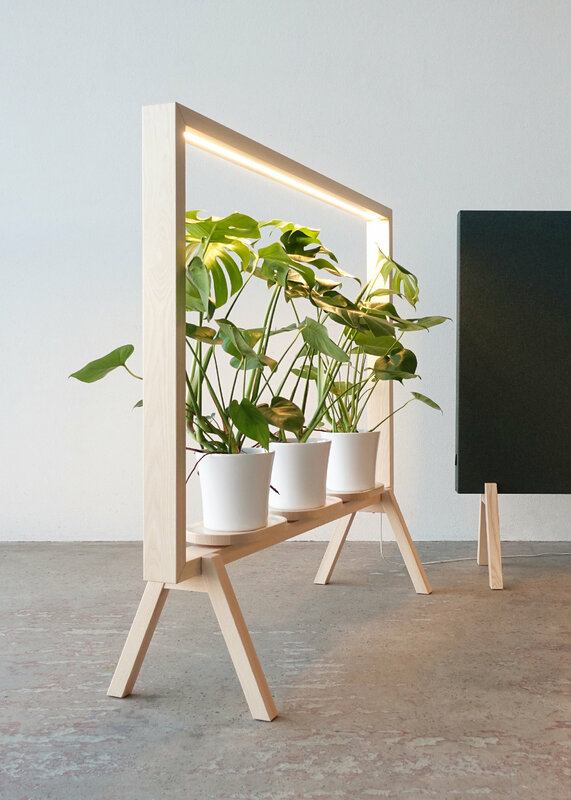 GreenFrame is a floor screen for potted plants with integrated lighting by Glimakra of Sweden, designed by Johan Kauppi, to be launched at Stockholm Furniture Fair 2018. The divider allows plants to play a prominent role in interiors - even where daylight may not be enough. A massive wood furniture, ambitiously manufactured with the purpose to contribute to better indoor climate, nicer workplaces and happier plants. A mixture of room divider, green furniture and luminaire in solid wood. The 28th rendition of the famous ICEHOTEL has just opened for the season of 2018! Johan Kauppi & Nina Kauppi was two of the international artists selected to contribute to this years edition with the ’Monstera’ Art Suite. A themed winter garden for sweet dreams, inspired by the popular as well characteristic plant Monstera Deliciosa. ICEHOTEL also made an extended interview: “The artist duo Kauppi & Kauppi talks ice and design – from New York to Jukkasjärvi”. Read the full interview here. Studio Kauppi & Kauppi spent a fantastic week in northernmost Scandinavia. Johan had the great honour to be invited as guest teacher at Sami University where the seminars where held in both Kautokeino, Norway and Inari, Finland. An exciting week with amazing people and beautiful snow-covered landscapes. Winter scenery in Kautokeino, Norway.